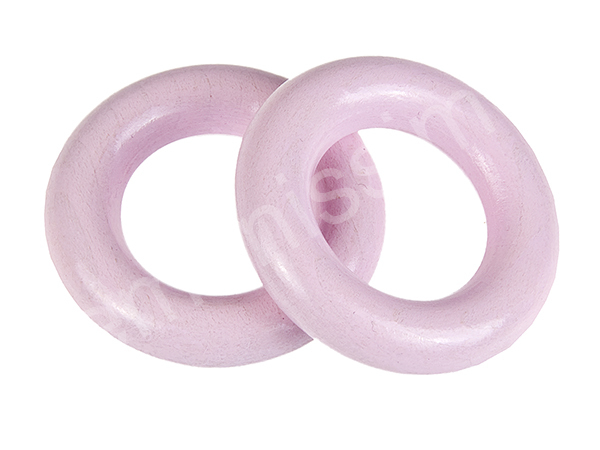 The wooden rings are available in different colours, and measure 50 mms x 10 mms. They have 2 holes with a diameter of aprox. 3 mms. 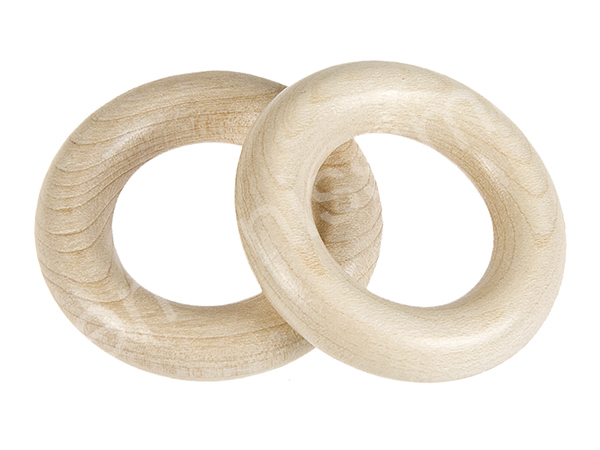 The wooden rings are suitable for Pacifier chains, Grabbing Toys and pram chains.